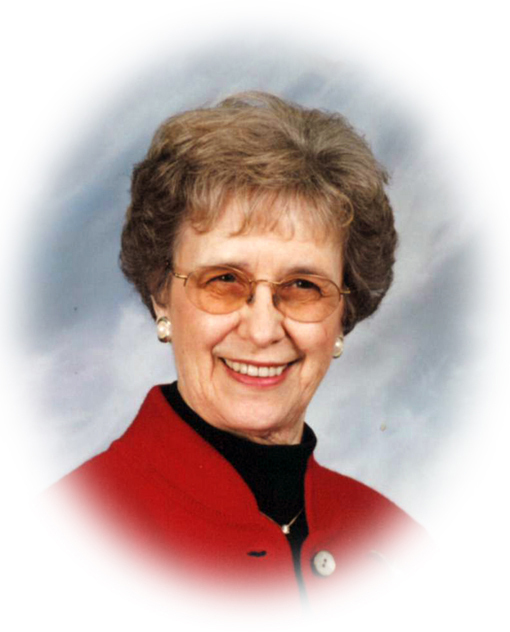 Obituary for Eleanor M. Lynam | Sheetz Funeral Home, Inc.
Eleanor M. Lynam, 88, of Denver, beloved mother, grandmother, mother-in-law, friend, and a registered nurse entered eternal rest and peace on Thursday, Nov. 15, 2018, at Hospice and Community Care, Mount Joy, PA. Her late husband Earl V. Lynam preceded her in death in 1997. Eleanor, affectionately known as “Fuzzy” and born in Johnstown, PA was the cherished daughter of Lloyd A. and Lillian V. Mansfield. A survivor of the Johnstown flood of 1936, she graduated from Ferndale Area High School. After graduating from Conemaugh Valley Memorial Hospital School of Nursing, U.S. Steel employed her as an industrial nurse. She is survived by four children, Mark, husband of Mary Sheetz Lynam, Mount Joy, Lauren, wife of Dr. Thomas Winkler, Bethesda, MD, Susan Lynam, of Denver, and Paul, husband of Amanda (Mandy) Moore Lynam of Lancaster, PA. The loving grandmother of Andrew, Ian (husband of Grace Obando), and Mary Lynam; Elizabeth, Caroline, Luke, and Julia Winkler; Matthew (husband of Elise Bowder) Pini; and Nicholas and Benjamin Lynam will miss her sorely. Her sister-in-law Janet (Ullery) Lynam of Davidsville, PA also survives her. Family and friends will remember Eleanor for her kindness, generosity, selflessness, and quick wit. She enjoyed family vacations and holiday gatherings. She was her grandchildren’s biggest fan attending their scholastic, theatrical, and sporting events. Eleanor and Earl moved to Denver in 1968. In 1973, Eleanor earned a Bachelor of Science in Education from Millersville State College. She became an instructor of nursing students at Lancaster General Hospital and later spent 22 years as a school nurse in the Cocalico School District. Eleanor loved tap dancing and watching classic movies. As a young girl, she took tap dance lessons from Gene Kelly. Retirement did not slow Eleanor down. Having a love of travel, she visited many fascinating places including Alaska, Peru (Machu Picchu), Australia, Fiji, and New Zealand. She enjoyed playing cards with her neighbors, reading mystery novels, and watching Jeopardy. In her spare time, Eleanor volunteered for the Ephrata Public Library, Meals on Wheels, Peter’s Porch, the Ephrata Cancer Center, and as a volunteer chaplain at Ephrata Community Hospital. Eleanor was a member of Faith United Evangelical Lutheran Church, Denver. Eleanor’s Memorial Service will be held on Sunday, Dec. 2, 2018, at Faith United Evangelical Lutheran Church, 357 Walnut St. Denver, at 1 PM. There will be no viewing. Eleanor’s family will greet guests following the service. Interment will be private. The family would like to thank the dedicated staff at Luther Acres and Hospice and Community Care for the special care they gave her in her time of need. In lieu of flowers, please consider a memorial donation in Eleanor’s name to Ephrata Public Library, 550 S. Reading Rd. Ephrata, PA 17522, Faith United Evangelical Lutheran Church, 357 Walnut St. Denver, PA 17517, or Hospice and Community Care, P.O. Box 4125, Lancaster, PA 17604-4125.